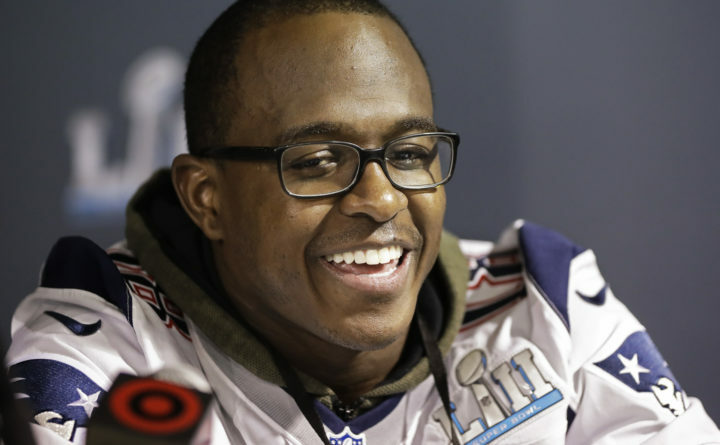 Husson University students are in for a unique opportunity on Friday when New England Patriots special teams captain Matthew Slater makes an appearance at the school. The event is restricted to Husson students and guests only. Slater, a seven-time Pro Bowl selection as a special teams performer, comes to Bangor on the heels of the Patriots appearance in the Super Bowl, which was won by the Philadelphia Eagles. Husson’s Student Activities office is putting on the event, which will take place Friday 8 p.m. to 9 p.m. at Husson’s Gracie Theatre. Slater, 32, is the son of former NFL offensive tackle and Hall of Famer Jackie Slater. He played college football at UCLA and was drafted by the Patriots in the fifth round of the 2008 NFL Draft. A two-time Super Bowl champion, Slater has been chosen for seven Pro Bowls. He has been voted to be the Patriots’ special teams captain by his teammates in each season since 2011. During the appearance, students will hear from Slater as part of a moderated interview. At the conclusion of the interview, those in attendance will be able to ask him questions. It is anticipated that Slater will talk about his career, including the four Super Bowls and seven AFC Championship games he has played in and his experience with the Patriots during its dominance in recent years. Tickets for this event may only be obtained by Husson students, who may get up to four free general admission tickets for whomever they wish to accompany them. Husson students also had the opportunity to get two additional VIP tickets for $20, which includes a meet-and-greet, an autograph, and a photo before the event. VIP tickets are sold out, but general admission tickets are still available.